Maximize mobile engagement and monetization. 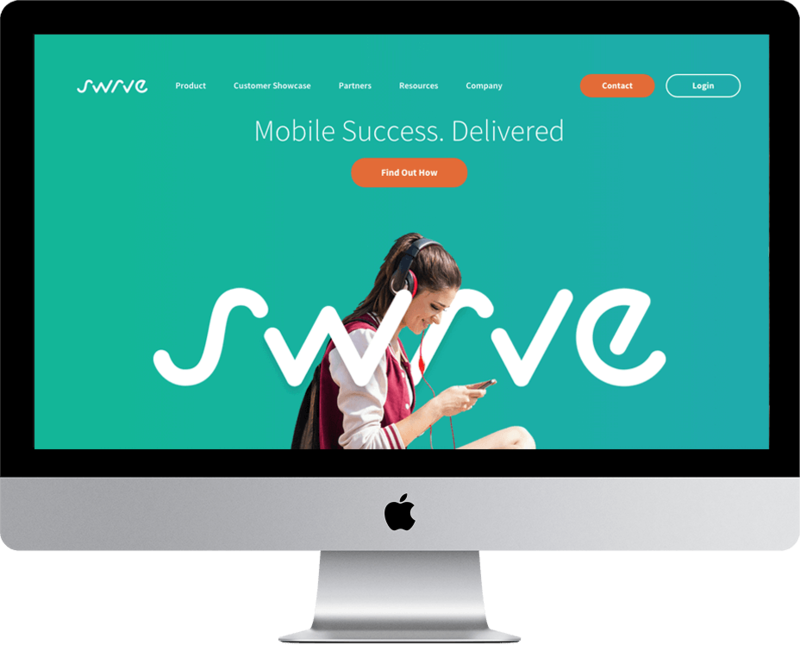 Swrve’s Mobile Engagement Platform helps enterprises maximize engagement and monetization by empowering marketers to deliver bespoke mobile experiences to every customer. Swrve provides a comprehensive set of mobile-first capabilities that include audience targeting, real-time segmentation, conversations, push notifications, in-app messaging and real-time data orchestration across all marketing channels. Swrve partners with leading brands, agencies and technology partners – including The Guardian, Condé Nast, Glamsquad, Warner Brothers, Mediacom, Salesforce, Oracle, and Marketo – and is installed in thousands of apps across industries, such as banking, travel, hospitality, sports, media, entertainment, ecommerce, games and mobile first.